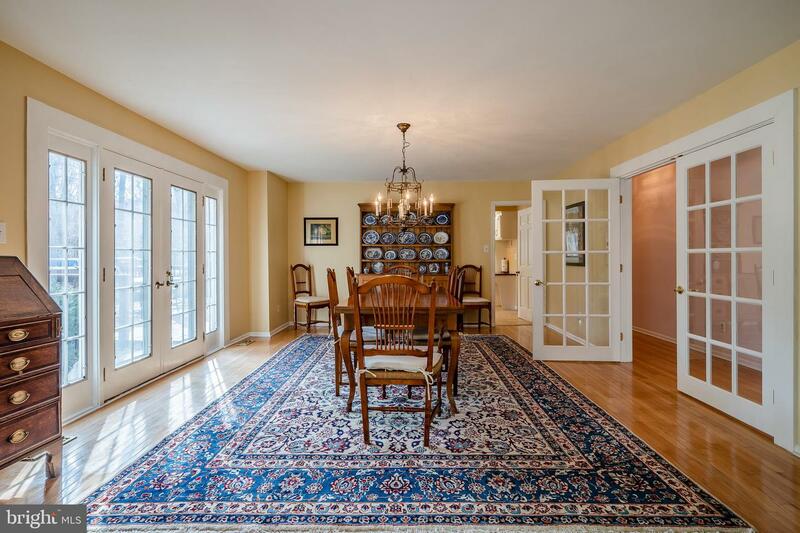 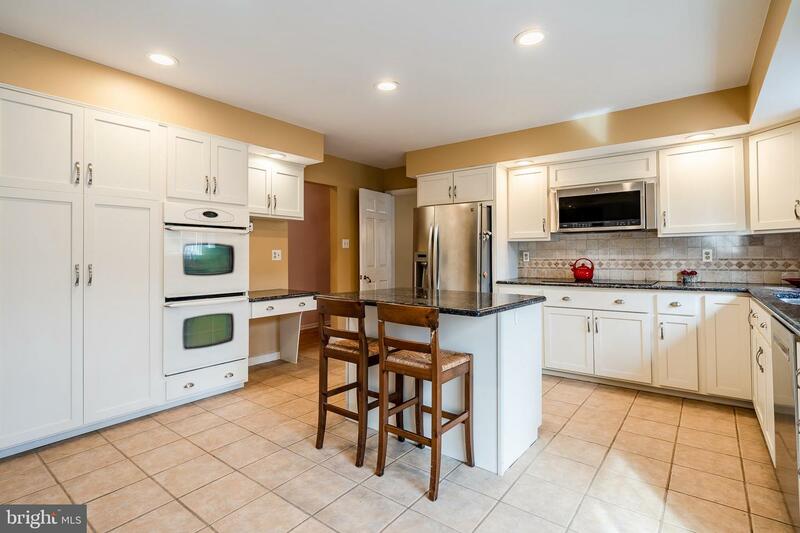 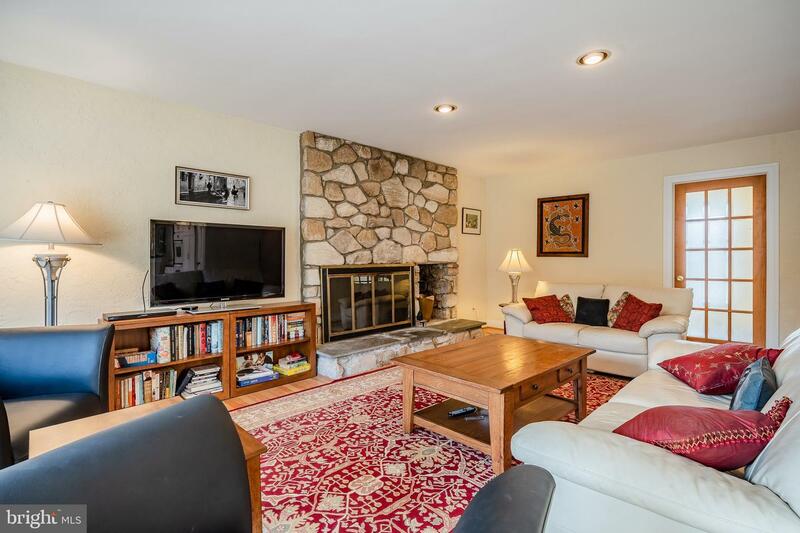 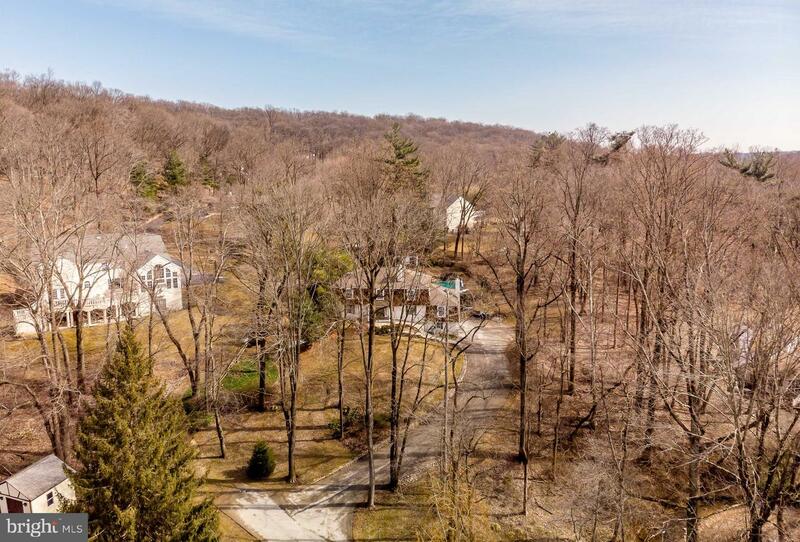 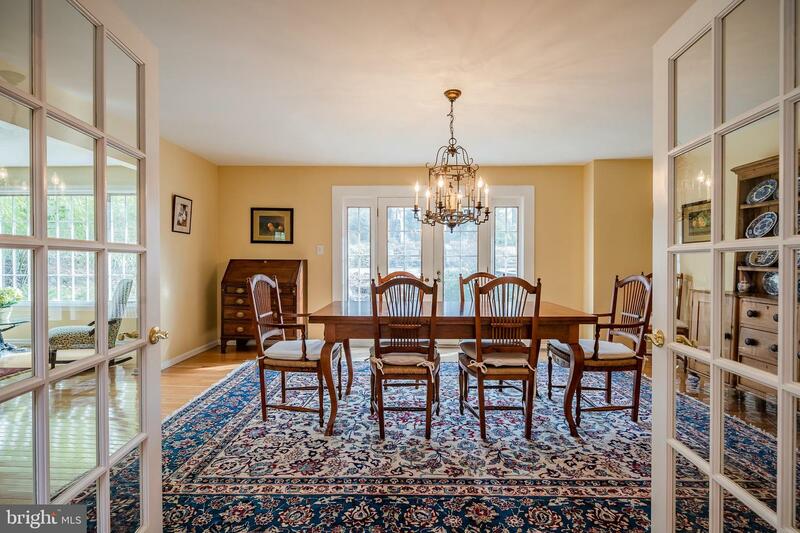 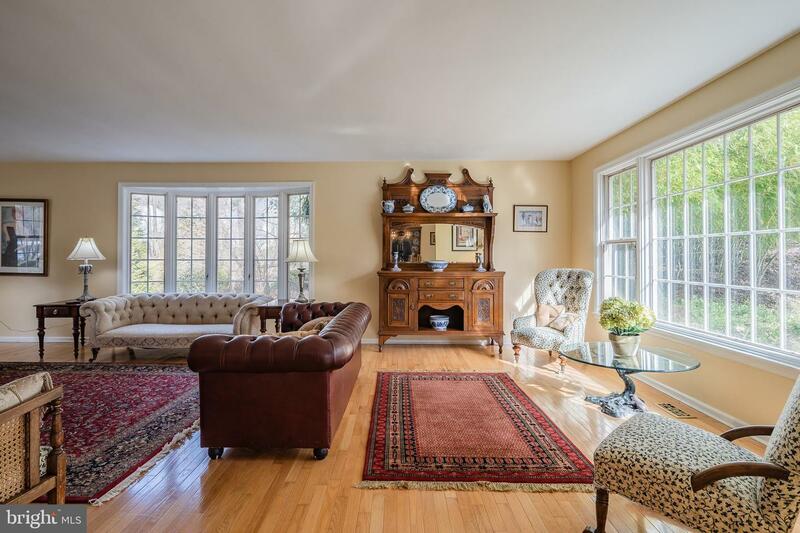 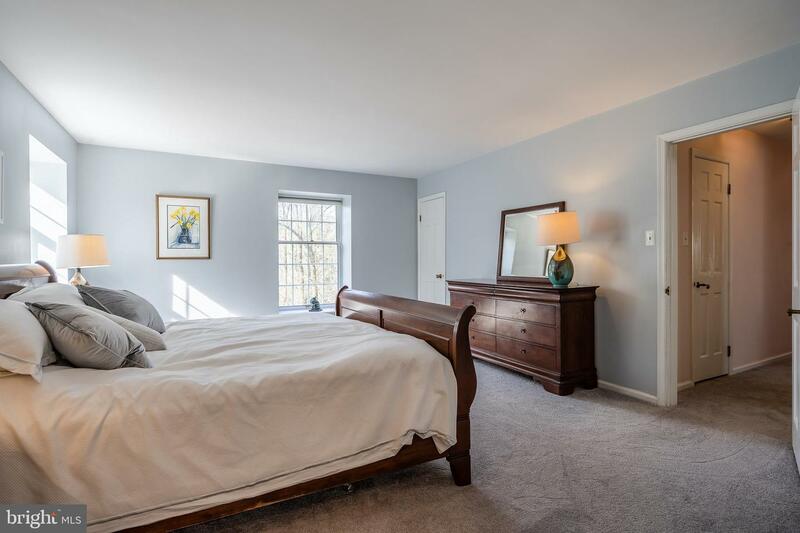 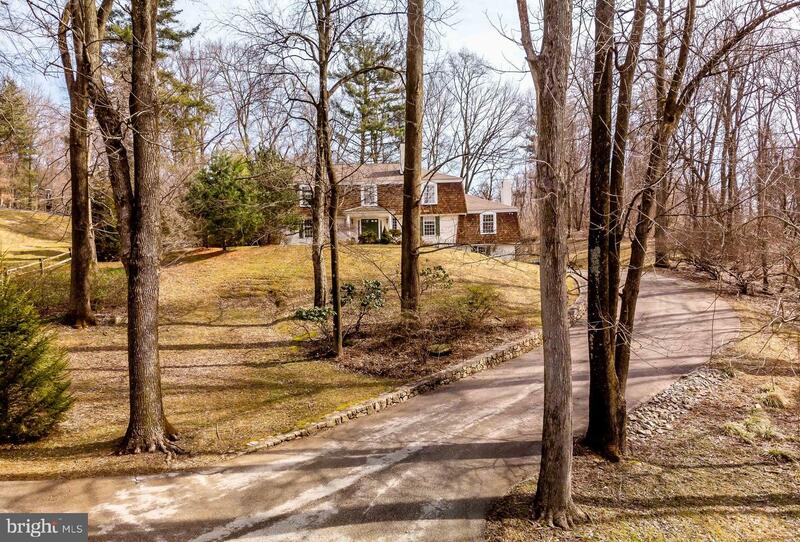 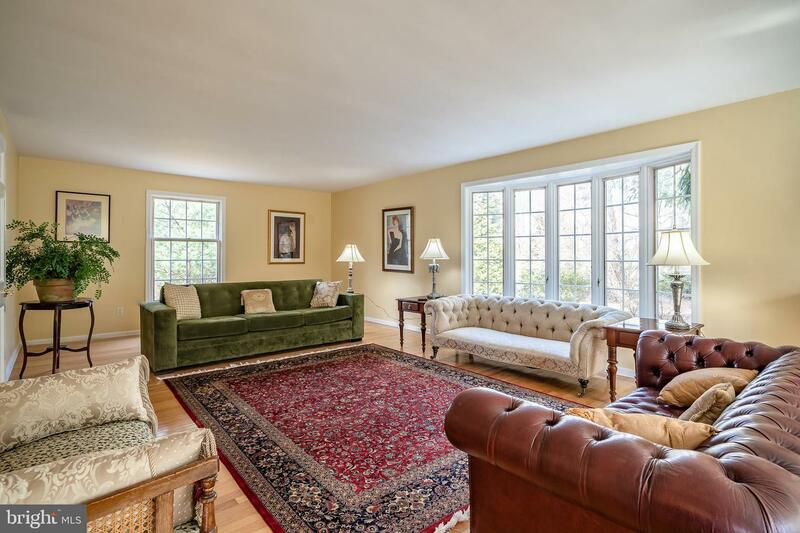 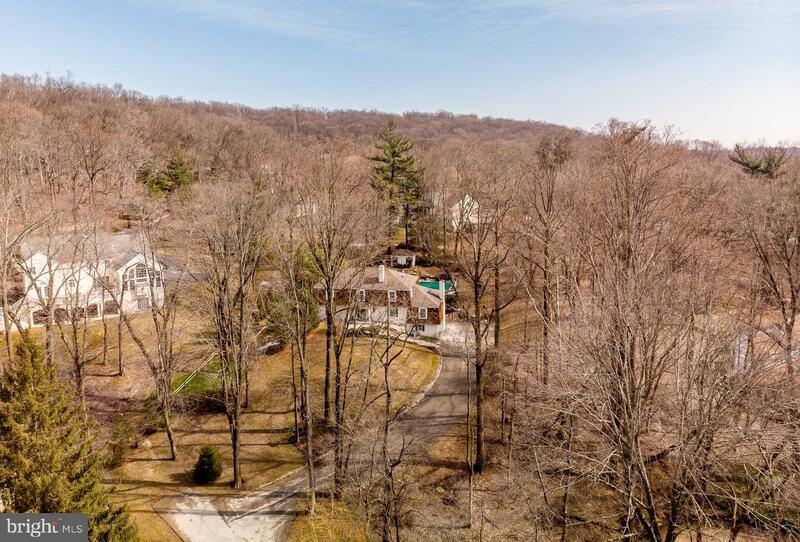 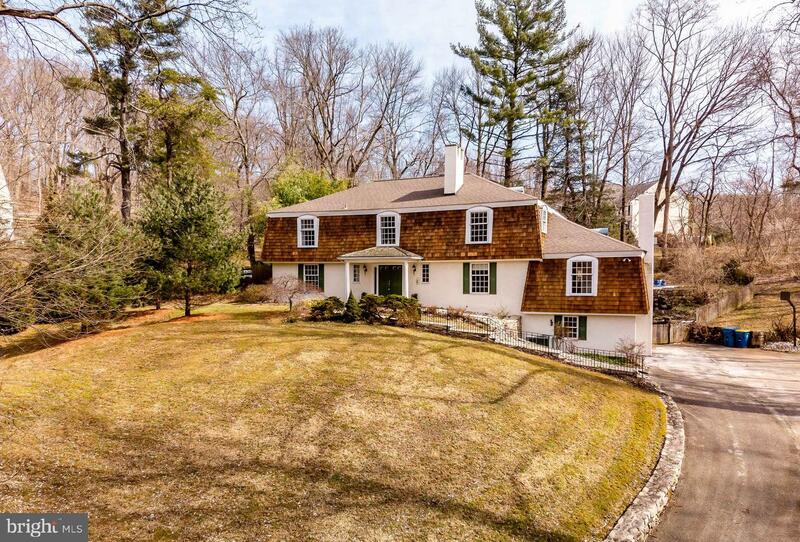 Set back from the road on approximately two acres in the beautifully wooded area of Gulph Mills this lovely home offers an amazing lifestyle, surrounded by nature with all the amenities of modern living. 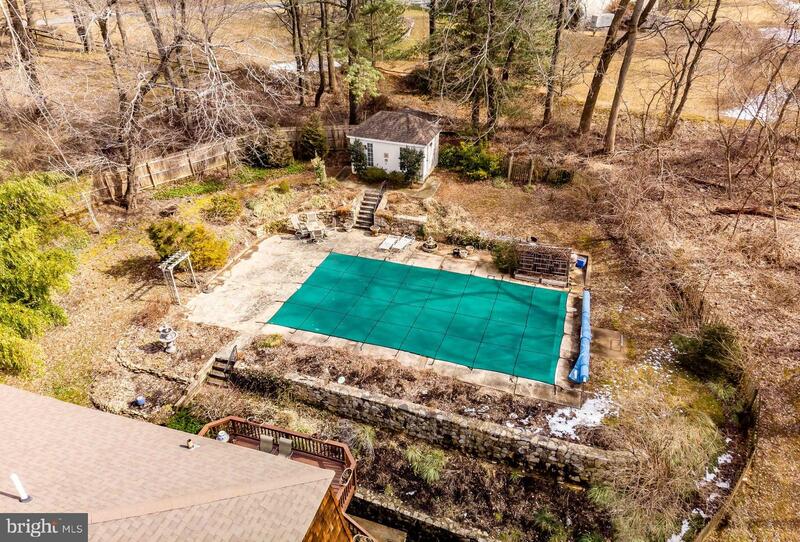 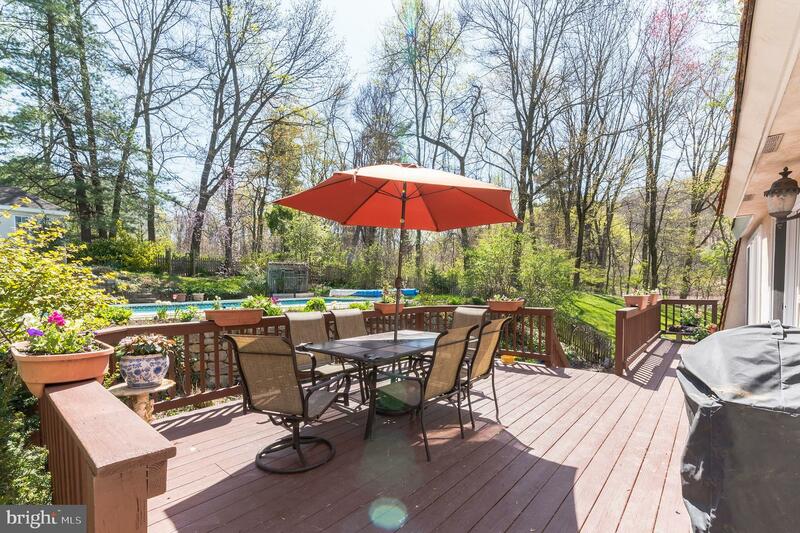 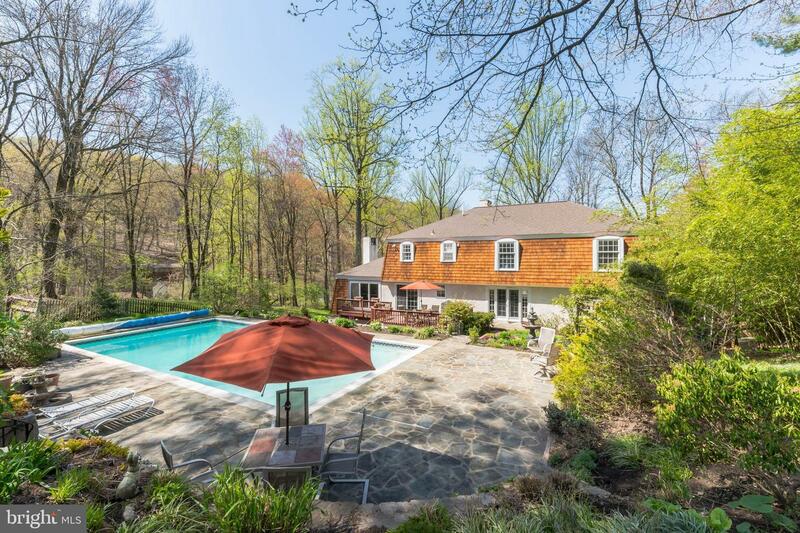 While minutes from the major arteries, I 76, I 476, 202, plus R7 railway and 100 high speed line, you can sit by the creek and listen to the running water, or retreat to the idyllic, private, backyard to enjoy the large in-ground pool, warmed by cost-efficient heat pump, surrounded by beautiful perennial beds and stone wall hard scraping. 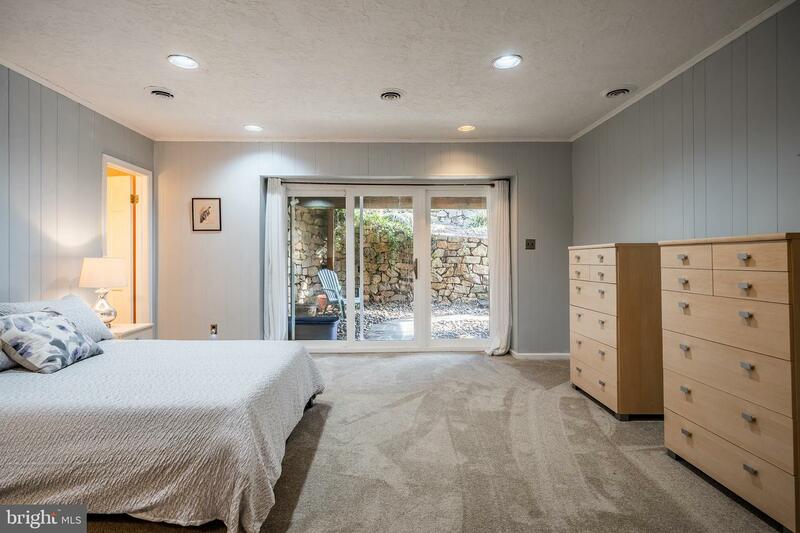 A pool house offers space for all your equipment as well as a changing room/half bath to keep those wet feet out of the main house. 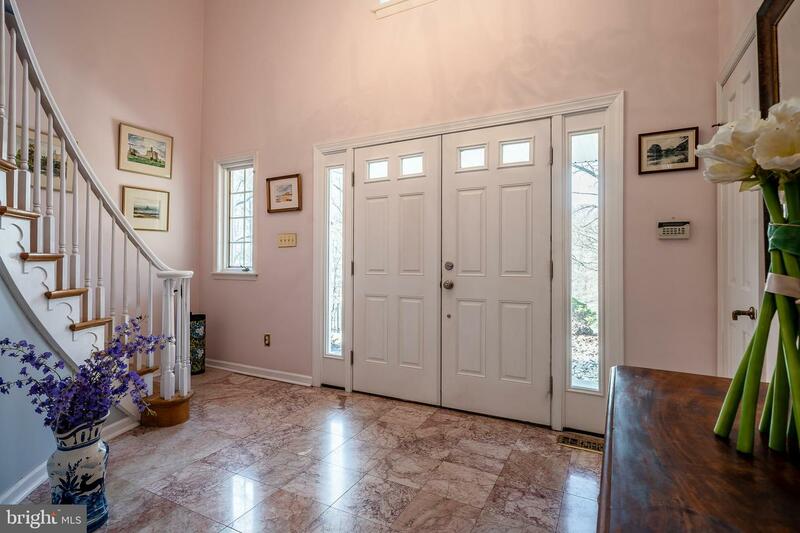 Enter the house through double doors into a gracious two story foyer featuring a beautiful curved stairway. 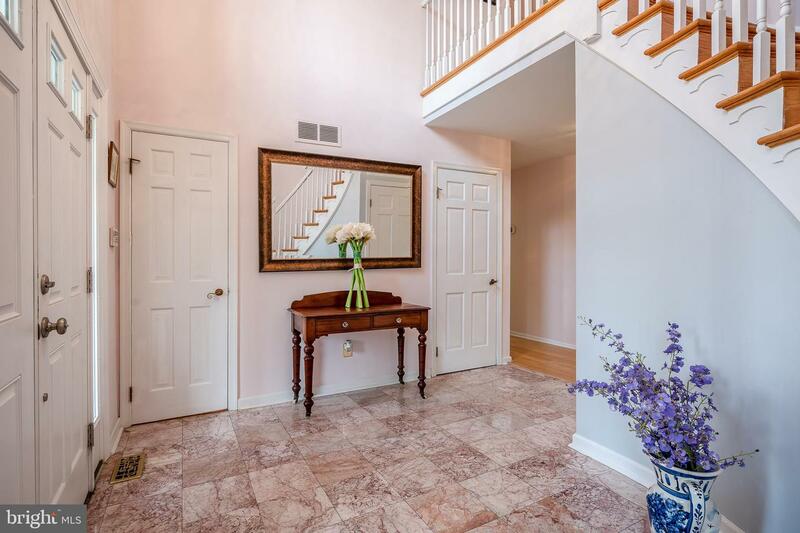 The hallway opens up into a large formal dining room, with French door leading to garden, and a spacious living room with large windows to provide ample natural light. 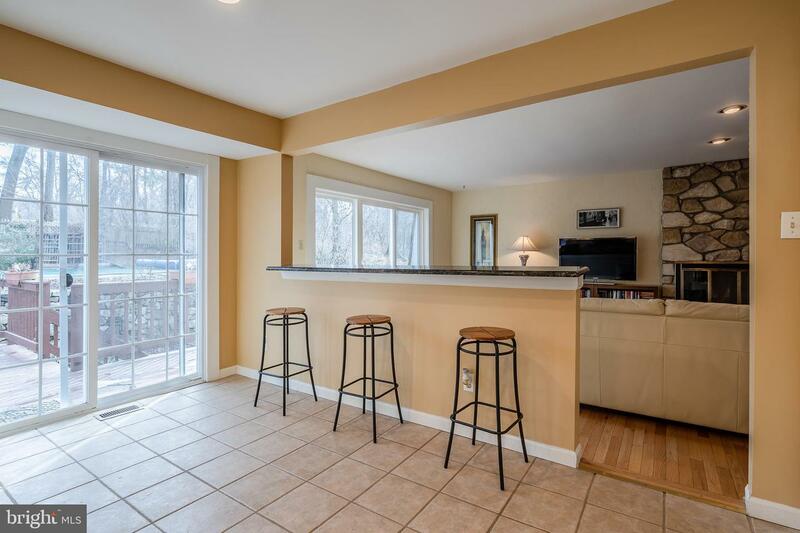 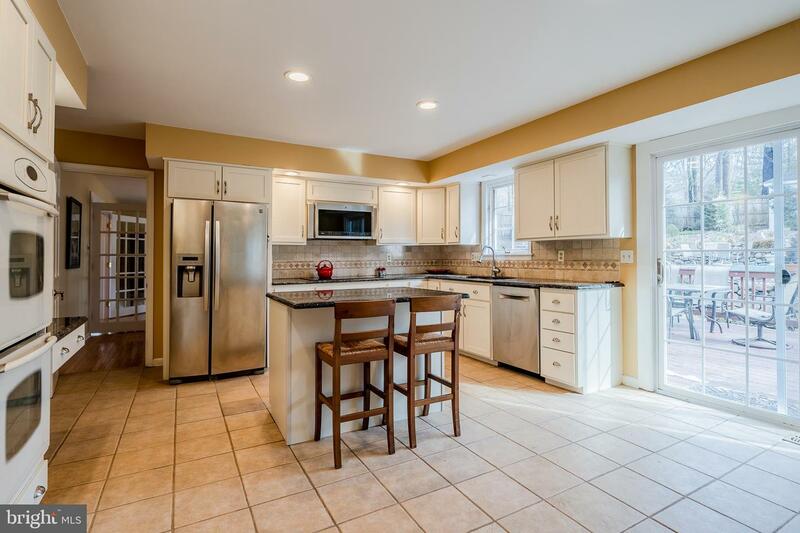 The large updated kitchen with granite countertops and stainless steel appliances opens up into a family room with a stone, wood burning fireplace. 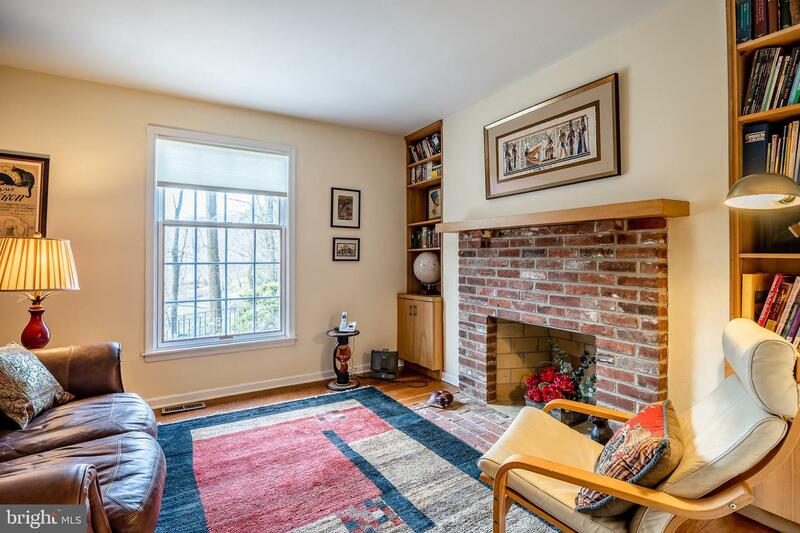 A cozy reading room with brick fireplace, well-sized laundry room, half bath and large coat room complete the ground floor. 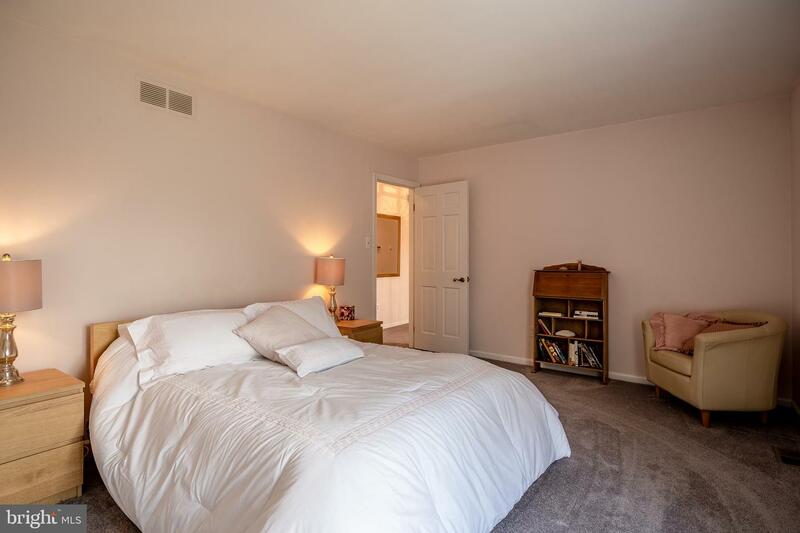 Upstairs you will find five good sized bedrooms with loads of closet space. 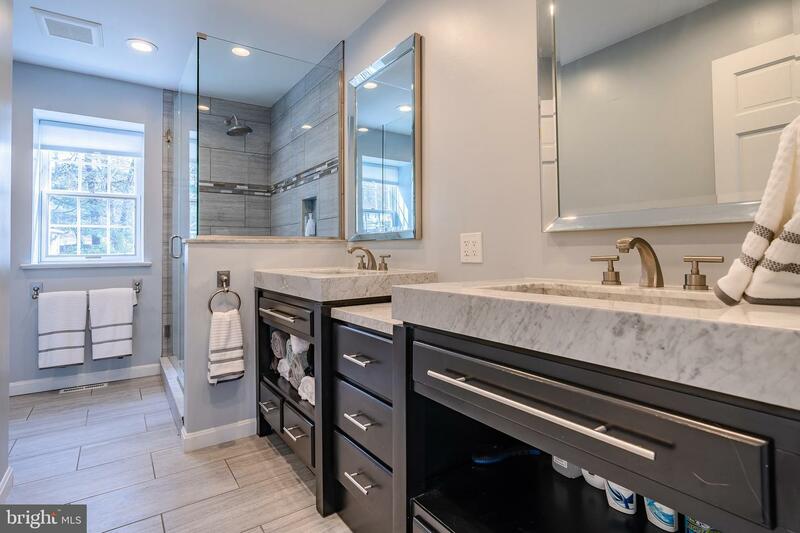 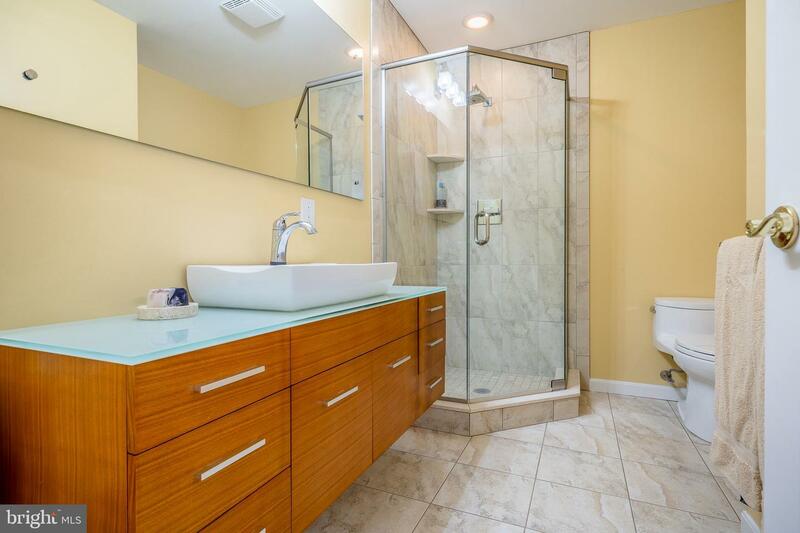 The master suite boasts a newly remodeled ensuite bath with large frameless glass shower and impressive marble-topped double vanity, as well as a large walk-in closet. 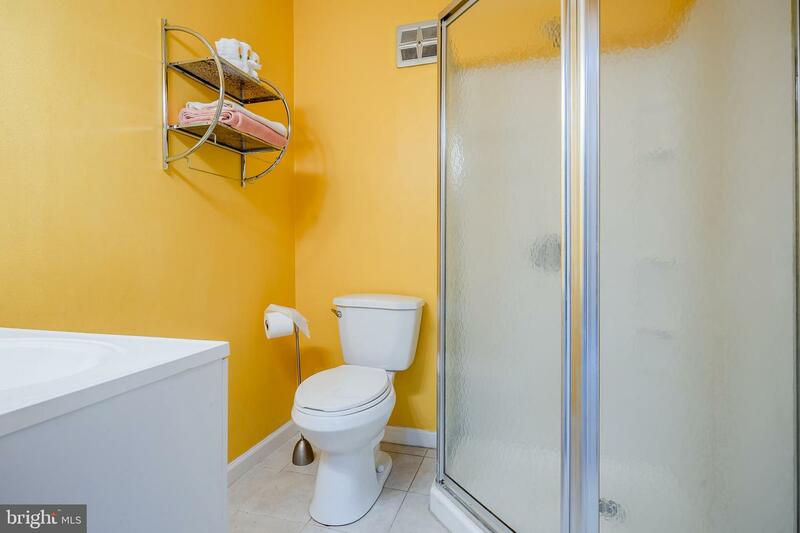 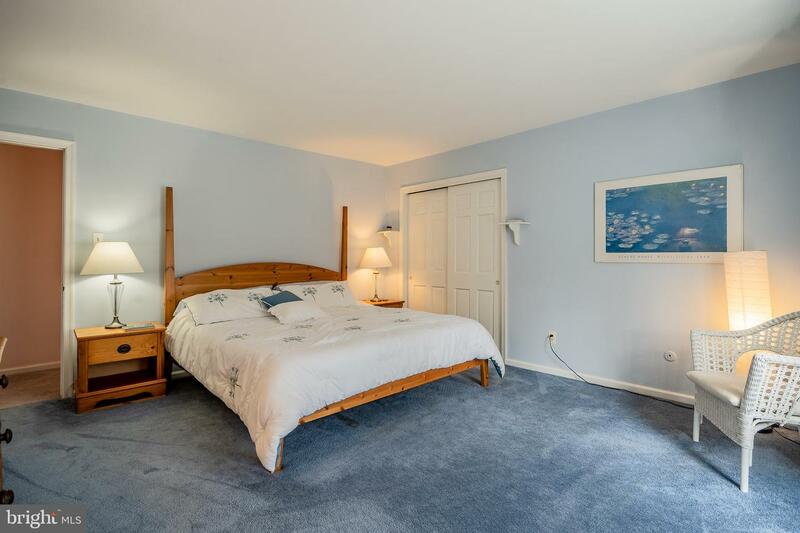 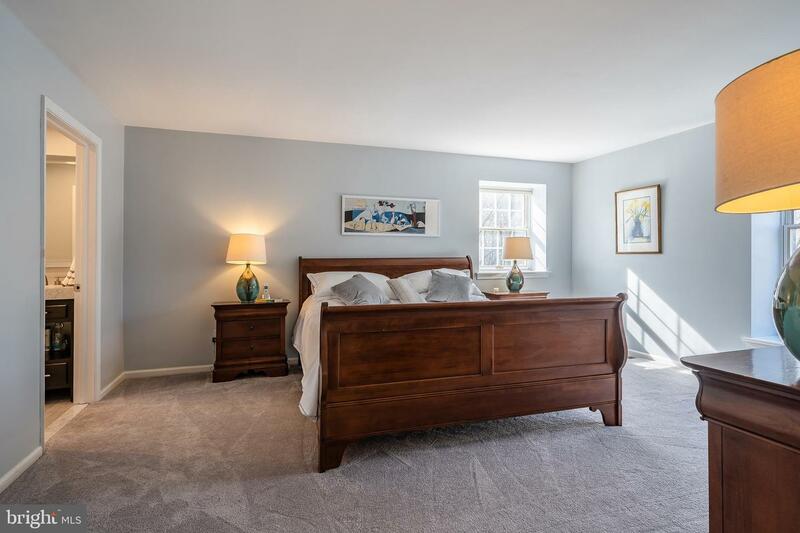 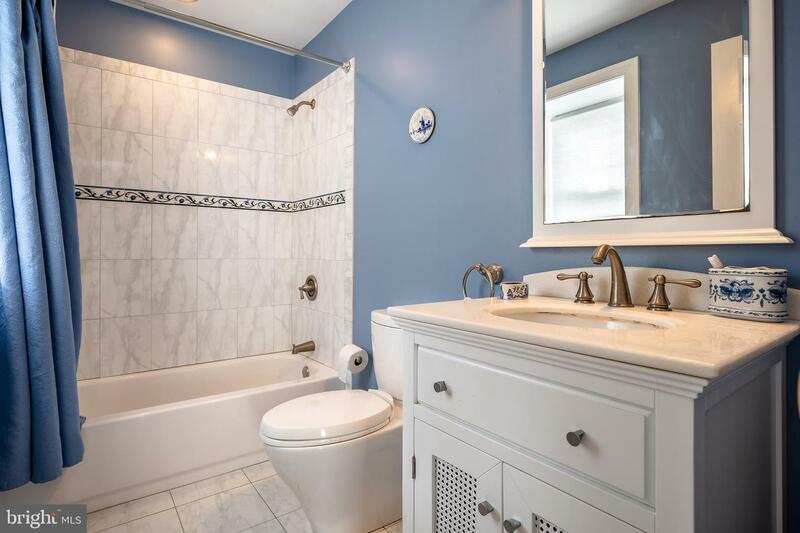 A further large bedroom enjoys an ensuite bath and there is an additional hall bath, both recently renovated. 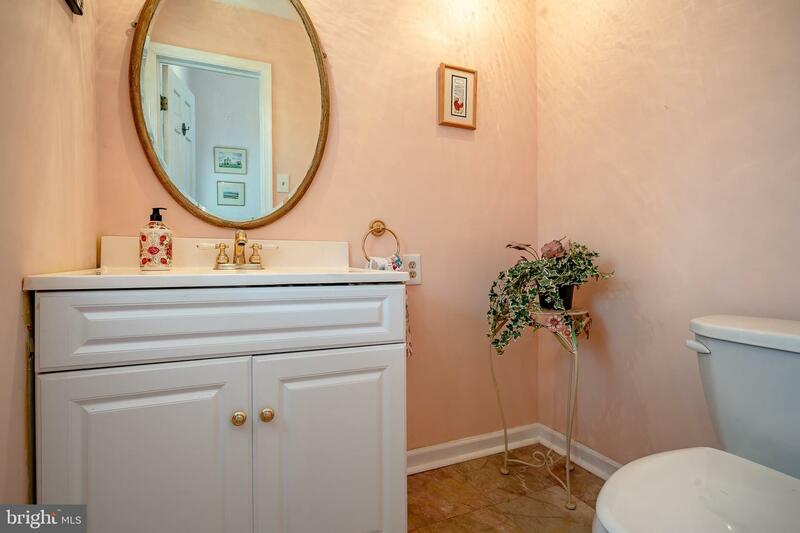 In addition to the 3,720 sq. 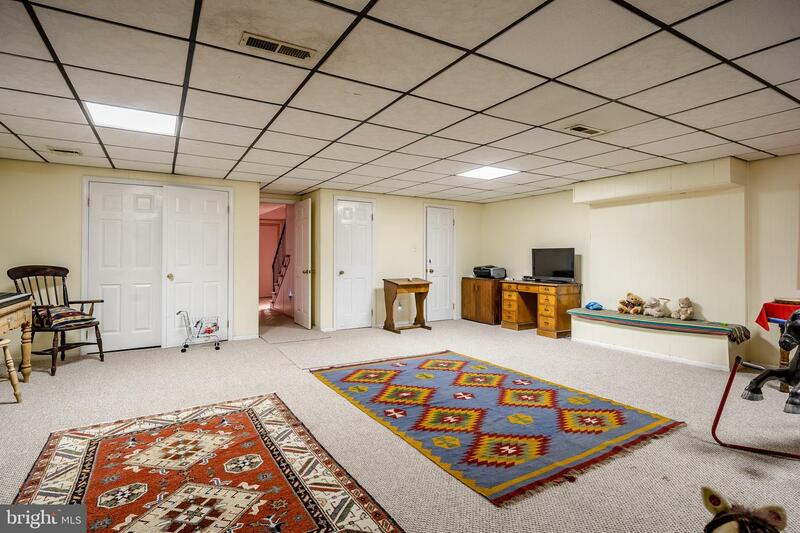 ft. living space there is a fully finished basement. 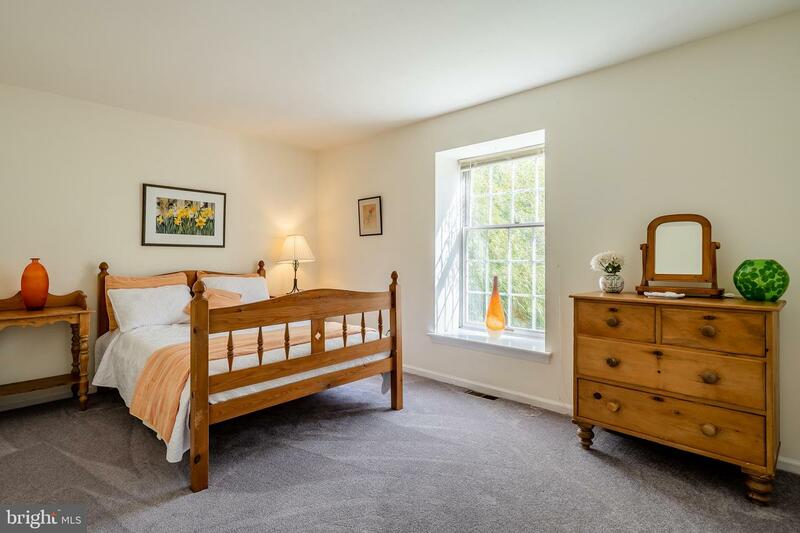 A possible sixth bedroom has ensuite bath and three-panel patio door leading outside. 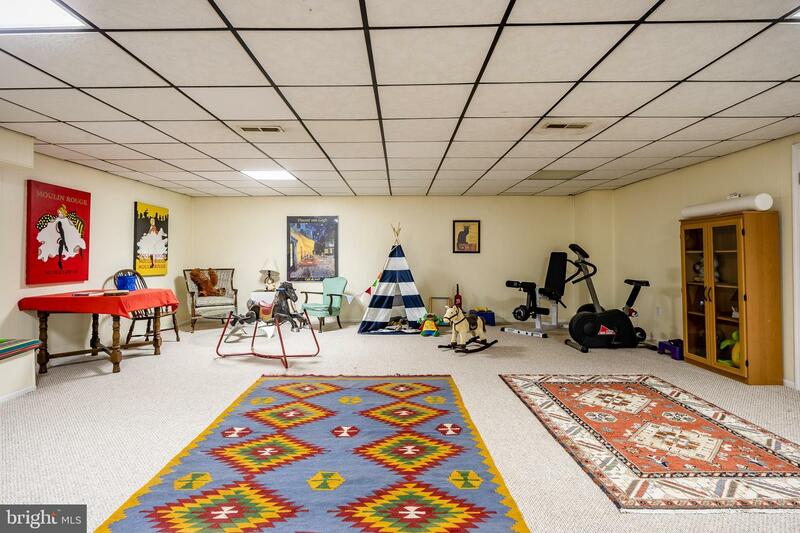 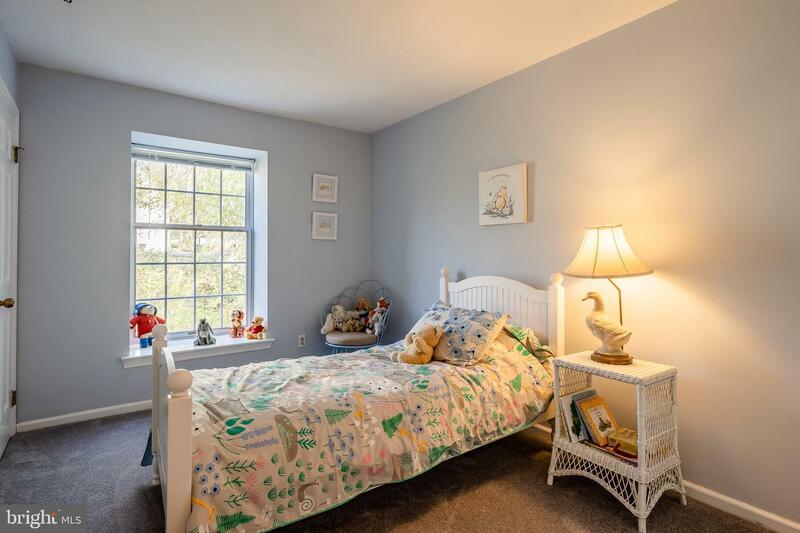 Another large space, currently used as an exercise and playroom, offers many possibilities. 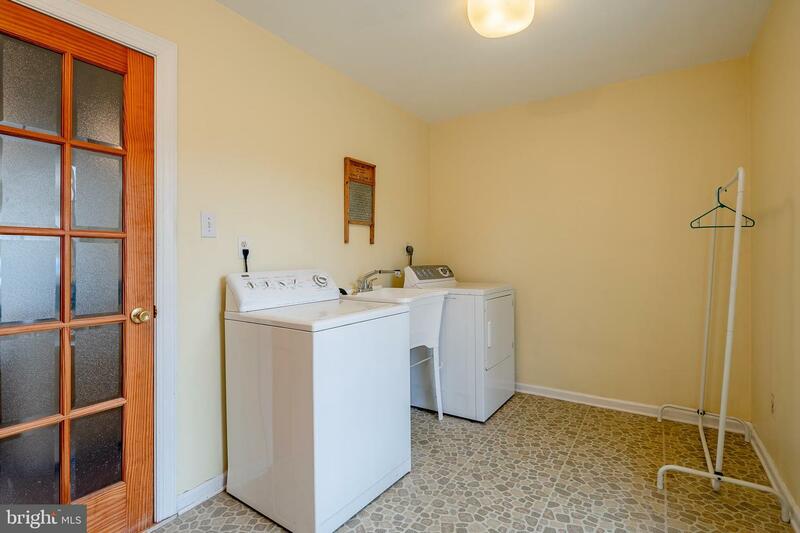 In addition, there is tons of storage space including a cedar closet. 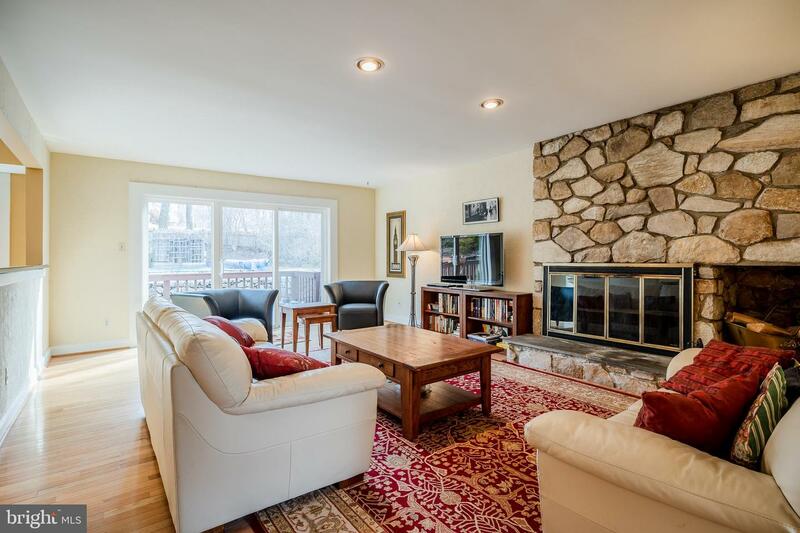 Attached is an oversized two car garage, while outside there is ample parking space for your guests.